Last week, I went to a town hall with U.S. Senator Thom Tillis and Rep. Richard Hudson at the Greater Fayetteville Chamber. The topics ranged from as broad as taxes and tariffs to as specific as Dodd – Frank. However, it wasn’t the content that struck me; it was Tillis’s demeanor and candor. Tillis had a fairly conservative, wealthy, and friendly audience in front of him, yet he spoke as a centrist. While Hudson was towing the party line, Tillis was challenging the folks in the room to discard extreme ideologies and to think of your fellow man when making business decisions; cautioning some of the wealthiest people in Fayetteville about the dangers of greed. I was stunned and dismayed. Dismayed because he’s going to be Senator for life if he wants it. 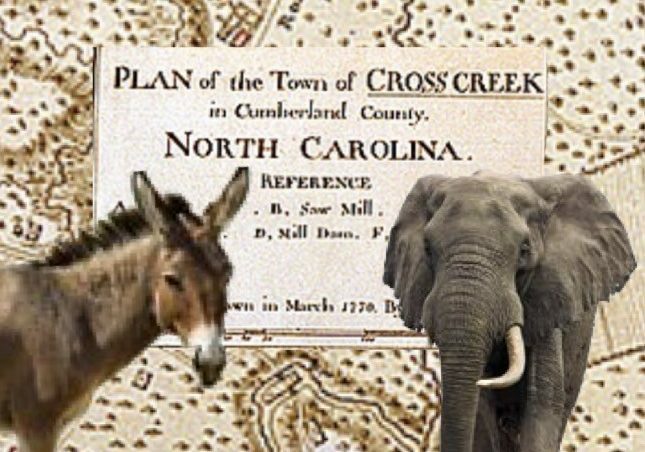 Tillis’s comments made me think of the extreme partisanship infecting our own community. It came to my attention this week that the Cumberland County Democratic Party (CCDP) has developed a “questionaire” for a all Democratic judicial candidates. The questionaire will determine which candidates are “worthy” of having their names printed on the Democratic slate card this fall. When Grant Mitchell was Chair of the CCDP, and I was president of the Democrat Men, there was a similar proposal brought before the CCDP Executive Board, except it was for all candidates. We discarded the idea immediately. The board at the time agreed that the Democratic Party is a “big tent” party, and we are not going to subject candidates to a litmus or “loyalty” test. Furthermore, we agreed that it’s good for our democracy to disagree, even within our own party. It seems the present party leadership does not agree with our sentiment and will be endorsing only the most “Democratic” judicial candidates this Fall. This brings me back to Tillis. We don’t stand a chance against him or candidates like him, if we only back the most Democratic Democrat. Our state and community are too diverse to elect puritanical candidates from either side. A few may slip through, especially in heavily gerrymandered districts, but for the most part we’re electing Democrats with shades of red or Republicans with shades of blue. Therefore, I encourage our party leaders to endorse every Democrat on the ballot this Fall and save the political surveys for Facebook. About the Author: Andrew Porter is a resident of Fayetteville. He has been an adviser and manager of several local and and state campaigns, with a W/L record of 11-2. He is undefeated in “non-NCGA-gerrymandered districts,” believes proper BBQ is served with coleslaw and vinegar, and is finishing his second year as a legal eagle at North Carolina Central.